It's no secret that I love brow products. My brows have a fairly nice shape naturally and with a bit of attention, they can look quite nice. 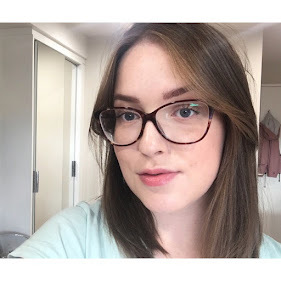 What they don't have is much colour, my brows seem to be a completely different shade to my natural hair colour and whilst tinting does the job, I can't help but try out a variety of brow shaping products. Benefit launched their new brow collection back in June which seriously made me want to buy everything in shiny new packaging. In the end, I picked up Ka-Brow, a cream gel product that can be used to define, shape and fill in eyebrows as naturally or boldly as you please. Ka-Brow is like no other brow product I've used before. Although I've been filling them in for years, I just stuck with a simple powder and clear brow gel combination, occasionally branching out to a pencil. There seems to have been a lot of hype around pomades in recent months, and seeing the shades all too dark or too light for my medium hair colour made me a little worried as to how I would get a good colour match and natural looking brows. The Benefit website actually has a really well detailed guide on matching yourself to their new brow products, and so whilst I had an idea I still went to a counter to swatch and double check. There's nothing worse than buying a product online that's hideously the wrong shade. I bought shade 3 which is the perfect match, I have medium brunette hair and edges slightly on the lighter side of things. Filling in your brows using Ka-Brow couldn't be easier. The cap has a handy built in brush which you pull out and turn over to snap into the top of the lid. Whilst the brush is really good, I find having the cap on the end gets in the way a little but it's too small without. Instead, I just use a separate full size hard angled brush, dip it into the cream gel and use little strokes to fill in my brows. A little really does go a long way, and I find one dip is perfect for the front and up to the arch, and then another dip for the arch and tail of the eyebrow. It's so insanely easy to build this up as well, so whether you're after a more naturally defined look or something a bit bolder you can create it perfectly with Ka-Brow. If you've never used anything like this, then the first time you use it you might find you go a little heavy handed or can't quite get your eyebrows looking how you want, but I just made sure to practice when I was having a day in. I was semi-surprised at how it just took me a couple of uses to really get the feel for something so different, and now I've been using it every day for several weeks and can't think of anything I'd rather be using to fill in my brows. What's amazing about Ka-Brow is that it really is waterproof and lasts extremely well throughout the day. This stuff ain't budging which is exactly what you want from a brow product. I do still run a little brow gel over the top, but that's because I like the volume it adds to my brow hairs rather than to set anything in place. Ka-Brow is £18.50 for 3g of product, and being honest being from Benefit which is a higher end brand, it's obvious that the price is going to be a little more than other options, but I think it's so worth it. There's such a great shade selection now they've expanded it and considering how little product you'll be using on a daily basis for both eyebrows it really will last well. 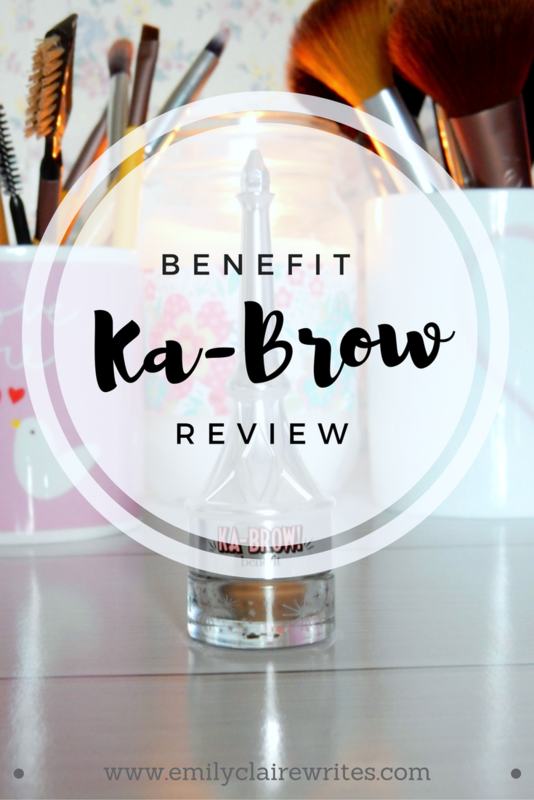 I've fallen completely in love with Ka-Brow, and I definitely am keen to try other products in the Benefit brow collection. Have you tried any of the Benefit brow products?